This is only a small portion of a larger document, proprietary to AT&T. 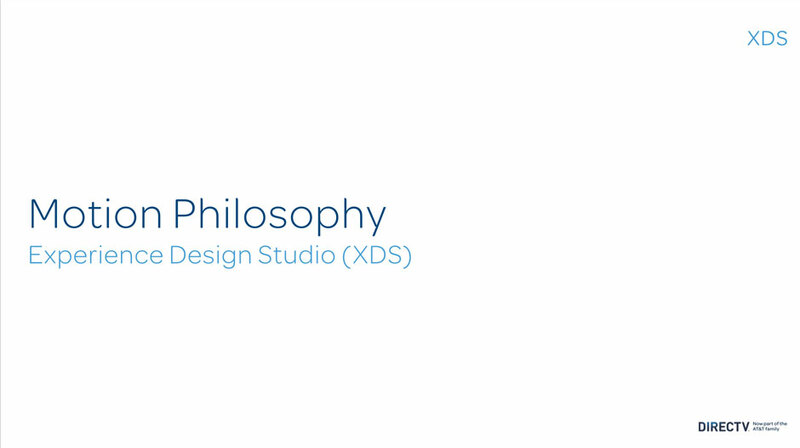 At DirecTV, Motion Design has never been thought of as an integral part of product design. Over my first few months on the job, I changed that. 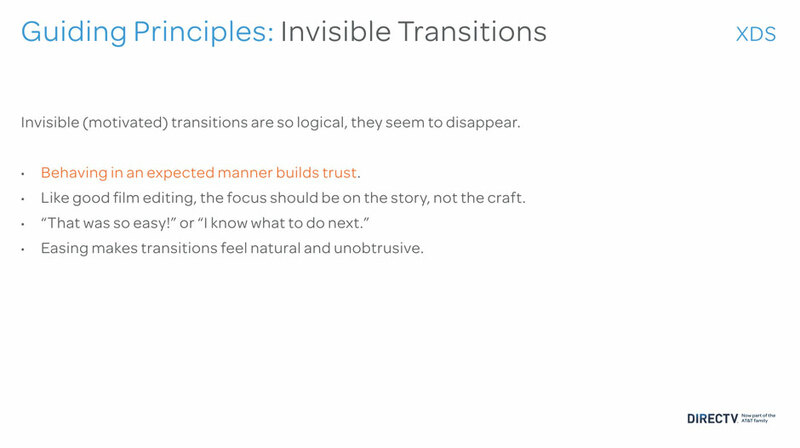 Today, I work as a liaison between UI and UX, keeping them both aligned and helping to broaden their thinking about how transition and motion can educate, inform, and delight the user. 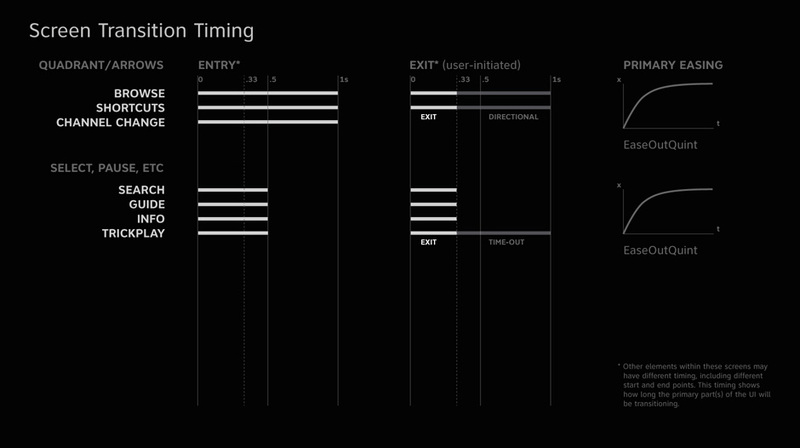 Now motion design is a part of our process from beginning to end. 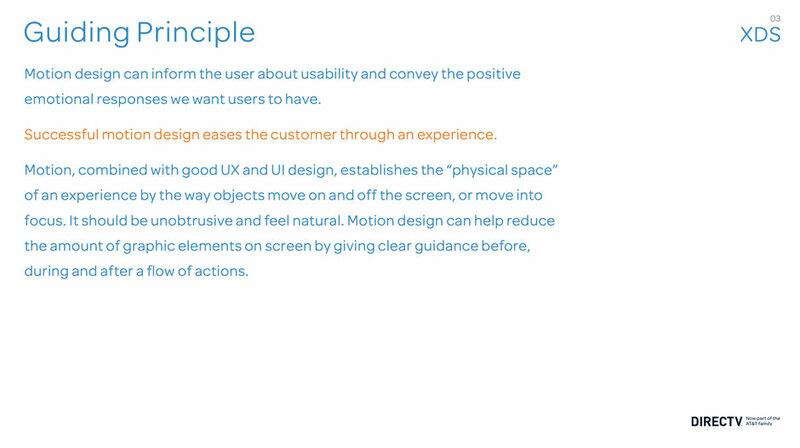 I've developed a general motion philosophy that puts user experience first, improving the experience without being distracting, and is driven by logic and intention. 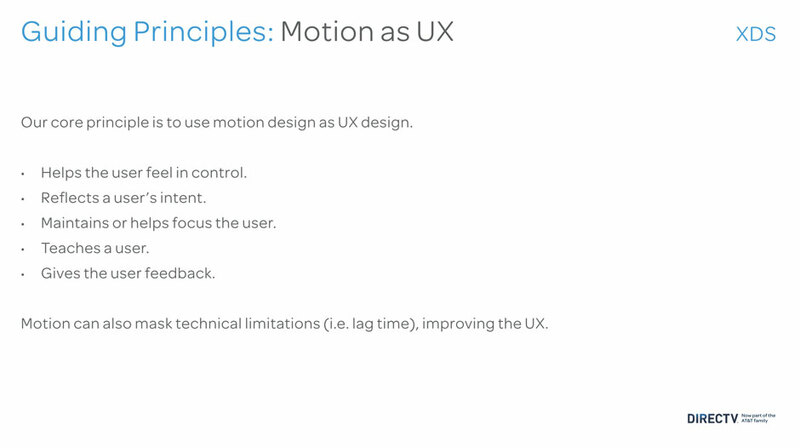 And I work with a team of other lead designers and engineers to establish principles, write detailed motion specs, and build animations and prototypes that will inform each working team across all platforms. Then I work closely with each platform team to adjust and refine as necessary for each platform.